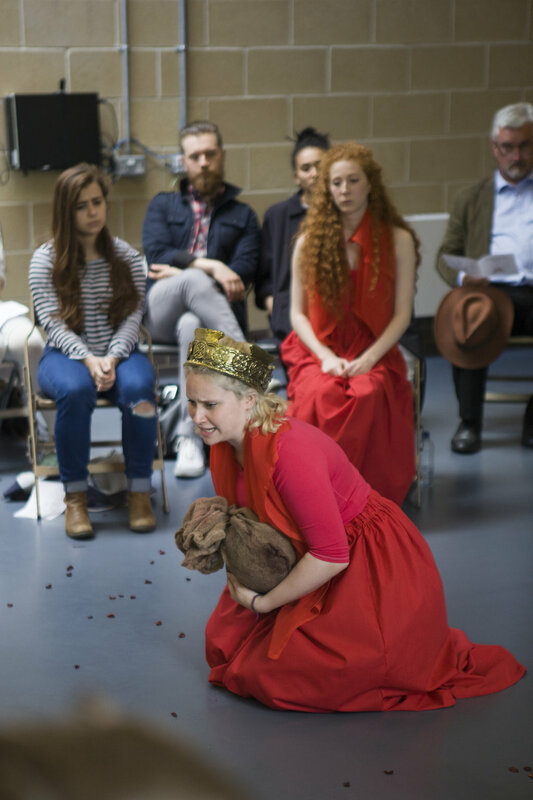 Margaret of Anjou weaves her way in and out of the histories. She appears early in Henry VI pt1, a conquered French princess horse-traded into marriage with Henry, soon revealed to have power firmly in her sights. Moving through adultery, to fury when Henry signs away her son’s inheritance, she reappears to proclaim her divorce from him, taking command of the Lancastrian army. As Queen militant, she proclaims battle speeches as her forces take the upper hand, and commands the torture and decapitation of York on the site of her victory. When the battle turns against her, she witnesses the death of her son Ned at her enemies hands, and finds solace for grief in cursing – cursing his killers, her enemies, with prescient, supernatural accuracy. 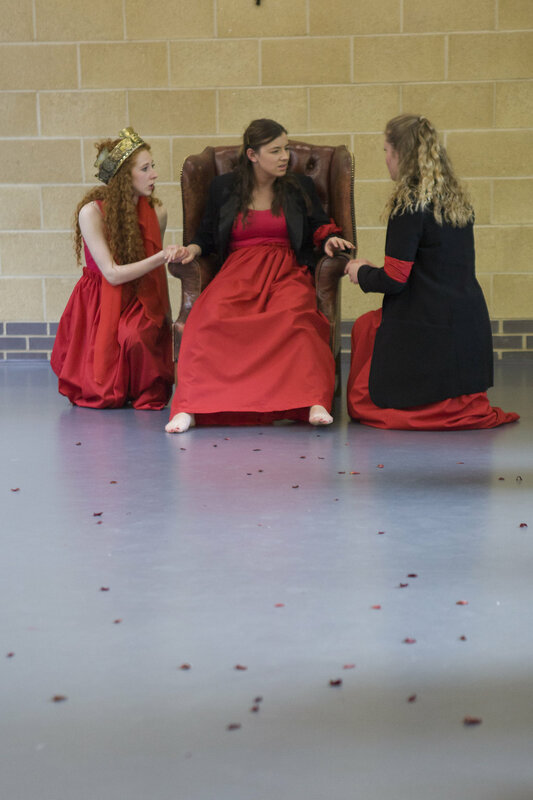 In Richard III, Margaret reappears, uncannily, her life extended by Shakespeare into Richard’s reign, because it is only she, who can see Richard for the monster he is, and who can match his curses with her own. She haunts the York monarchy, a dethroned queen, warning, mocking the fragile deceptions of power, and reiterating her battlefield curses. Returning as ancient crone to turn the Yorkist Queen and duchess to her cause, there are glimpses of the witches of Macbeth, England’s Royal women turned to dark forces. It is Margaret who sees, understands and articulates the bloody cycles of civil war, and lives to see that Richard, ‘the dog’ is dead. 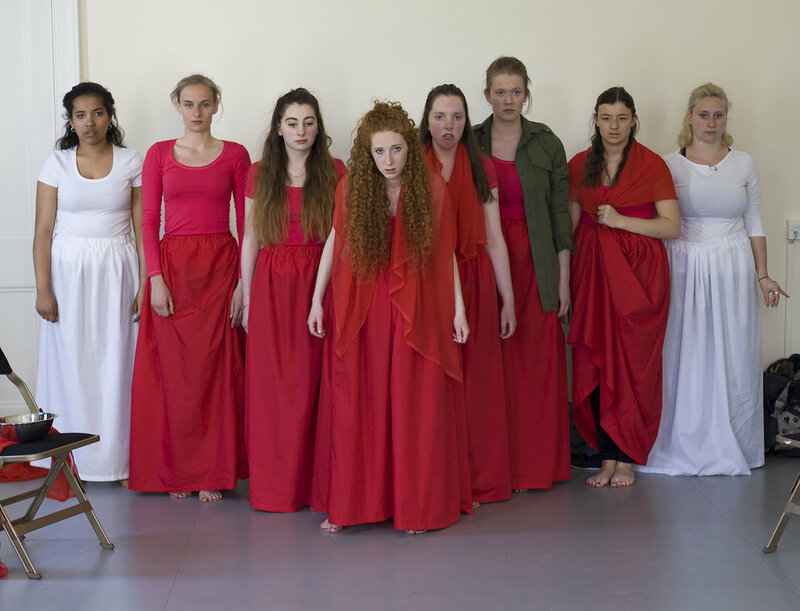 In Margaret there is a female role like no other in Shakespeare, but threaded through 4 plays, no production has yet embodied this figure in a single performance. Rather she flits around the margins of the histories, the voice of mothers, of disempowered women, of losing powers, speaking of loss and of injustice while the winners take the throne. She is no idealised female, or occupies that role only fleetingly as coquettish princess, but rather emerges in fragments, disjointed, we see her in pieces, then she disappears from view. She is an appropriately (post) modern character. 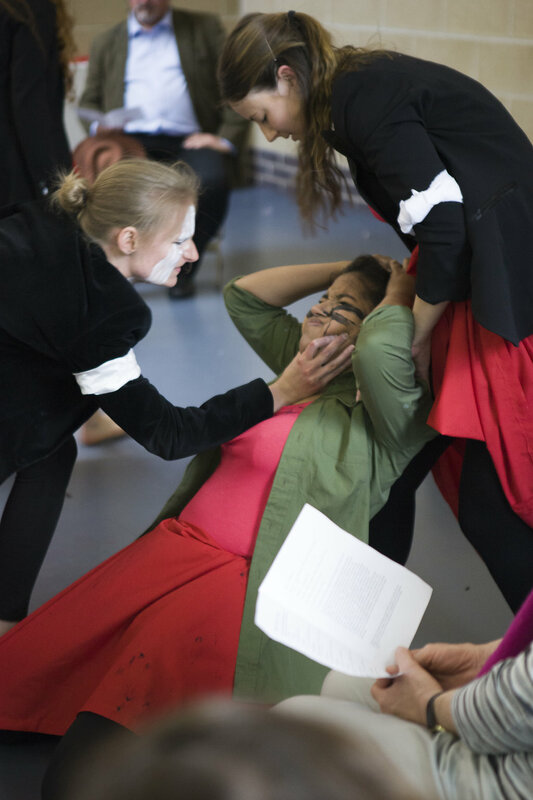 Elizabeth Schafer and Philippa Kelly have created a new project around Margaret, and a new play, elegantly drawing together all of Margaret’s scenes into one text – a text which spans continents and wars, which tumble across the stage at ever accelerating speed – and it is Margaret around whom the action coheres. We see her, each stage of her arc, played out against the backdrop of the wars of the roses. In a year of ‘Bardolatry’, this project offers something genuinely fresh, the histories seen through the eyes and actions of Margaret. 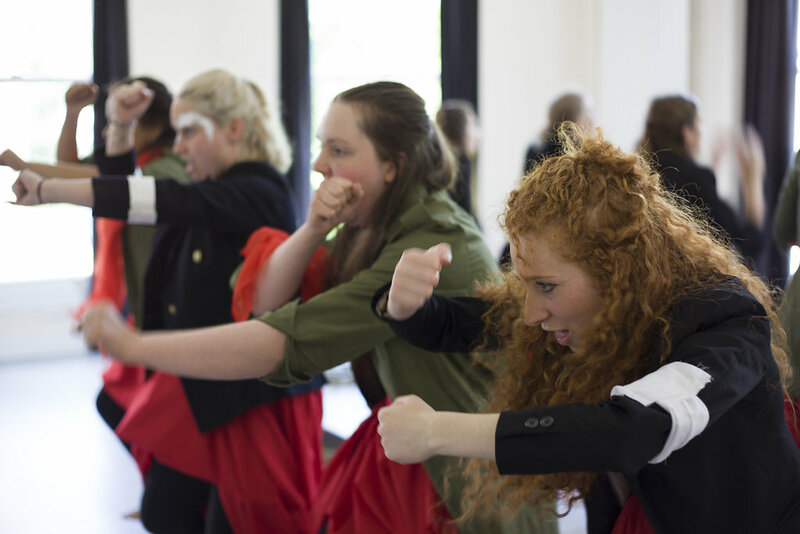 The project offers so much – the opportunity to encounter Shakespeare through a feminist lens, to explore a version of the histories in which female experiences are not sidelined, but encountered as the main focus. And what a story we are given. Read this way, this account of history feels bleaker, more bloody, more relentlessly, monotonously violent. We see, really see, the murdered children, the broken promises, the bloody mess. 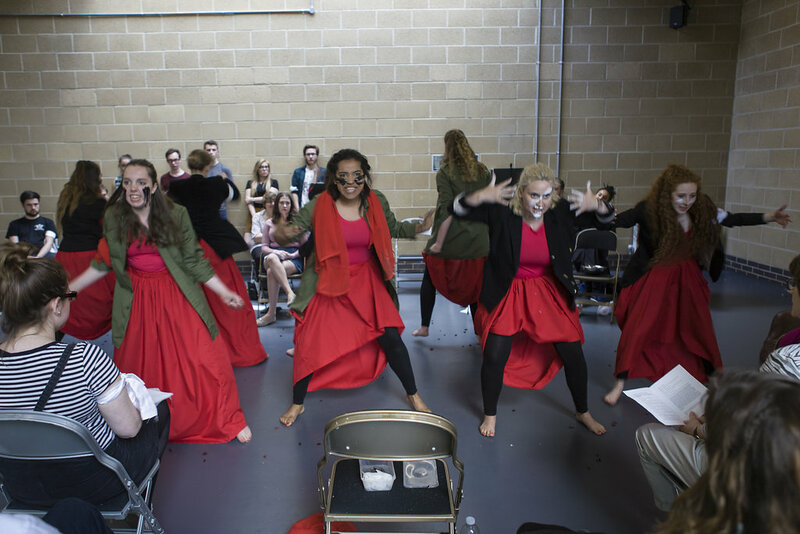 Working with this newly created text, with an all female ensemble taking every role, in a stripped back, breeze block studio, this project was exhilarating, and the work created was raw, urgent and contemporary. Working physically to create shared expressions of Margaret across the scenes, we created an army of Megs, all bent on expressing their grief and reclaiming their power. 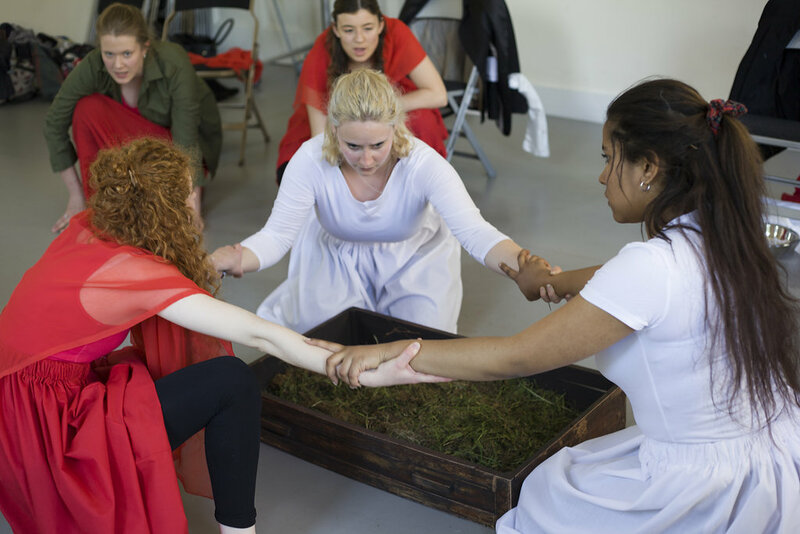 Working with the emotional tone of each age of Margaret, we explored creating environments of affect to support her story. The back and forth of York and Lancaster played out like a monstrous chess match, turbulent and messy, with the victors showing neither empathy nor mercy. 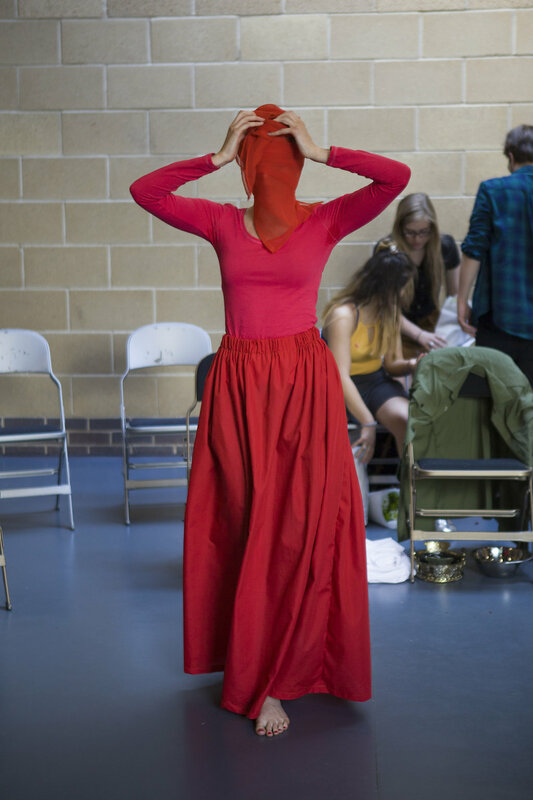 Designer Talulah Mason created a design language which was simple, functional, foregrounding Meg’s femininity and strength in a world of male power. 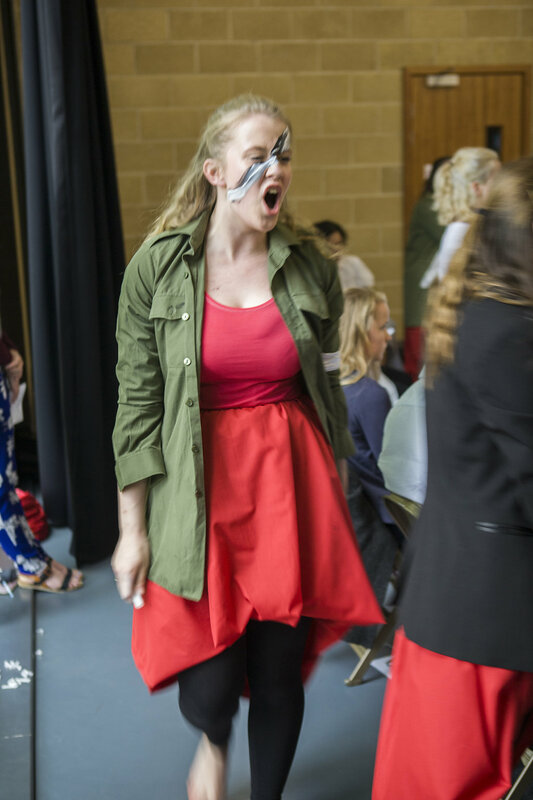 From a week’s workshop, there emerged so many powerful moments: 8 Margarets in full warpaint confronting the audience with a Hakkah. Margaret clutching the head of her dead lover, chewing out her grief like stones she has to spit out or swallow. Margaret triumphant over York switching on a sixpence to Margaret who has lost everything, except the power to curse. There is so much in this new play, a richness of expression, an incredible energy surging through from all of her fragmented parts coalescing in time. I feel I have only just begun with this text, there are versions and versions of it yet to come, but with the support of Royal Holloway, I’ve been there as a startling new figure emerges from the canon, and I can’t wait to see what she does next. Here are some more pictures of our process, all photos taken by Madeleine Corcoran https://madeleinecorcoran.com. 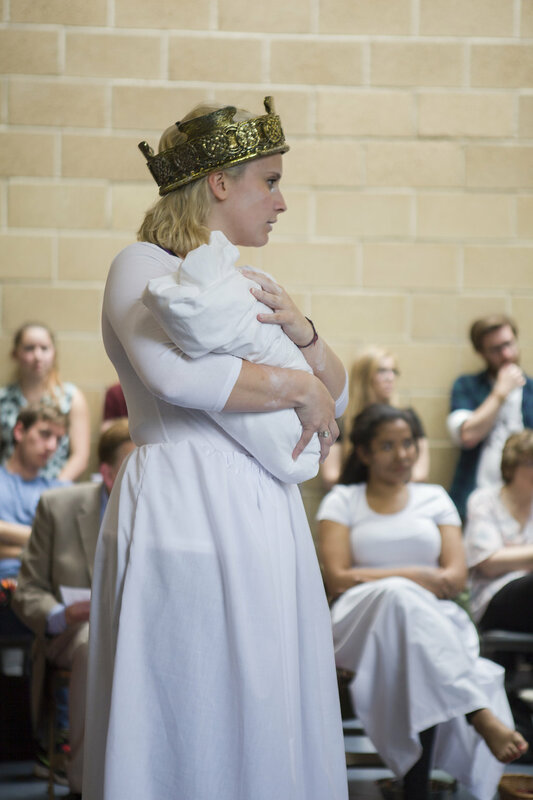 Categories: Margaret of Anjou, Research, Theatre | Tags: Elizabeth Schafer, feminism, feminist, Henry VI, new play, Richard III, Shakespeare, Talulah Mason, Theatre | Permalink.